As always, staff very friendly and helpful. 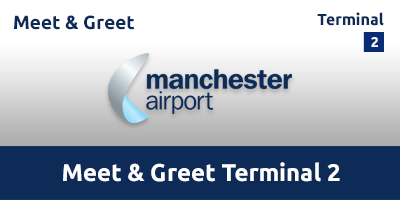 Save time by driving straight to the airport with Manchester Meet & Greet Terminal 2 parking. This fast and convenient service is perfect for those short on time, travelling with children, weighed down by heavy luggage or just looking to start their holiday in style. No transfers needed, just take the short stroll to the terminal doors. There's no need to fret about your car while you're away. Relax in the knowledge your vehicle will be secure in a car park that's manned 24 hours, watched over by CCTV and is a recipient of the Police-approved Park Mark® Safer Parking Award. Meet and greet is the perfect airport parking service for anyone with mobility issues. This service operates 365 days a year, 24 hours a day. This car park does not accept transit vans, minibuses, motor homes, caravans and trailers. Stay in the left hand lane following signs for Terminal 2. At the first roundabout, take the 2nd exit, signposted Terminal 2. At the next roundabout, take the third exit signposted T2 Meet & Greet (T2 M&G). For departing passengers, the drop-off facility is located on the top level of the T2 multi-storey car park, accessed via the Atlanta Avenue ramp. Once parked, customers should proceed to the new reception facility to drop off their key. Park your car at the designated meeting area. Go to reception and hand your booking voucher and keys to the attendant. Once you have unloaded your car, take the short walk into the terminal. Return to the meet and greet reception and collect your keys. Your car will be waiting for you. Drive to the exit barrier, which will automatically raise as you approach.